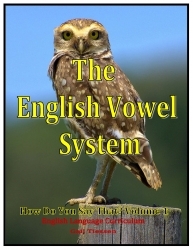 A Curriculum that focuses on the pronunciation of the English Vowel System and how the spoken form relates to the written form. Each focus covers approximately one and a half hours of on task class time. Letter A: Is it Grey or Black? Letter E: Is it Green or Red? Letter I: Is it White or Silver? Letter O: Is it Gold or Bronze? Letter U: Is it Blue, Wood or Rust? The Author Gail Tiessen is an accomplished teacher and author in the EAL field. She has developed and administered TESOL and EAL programs and written EAL curricula for 30 years.